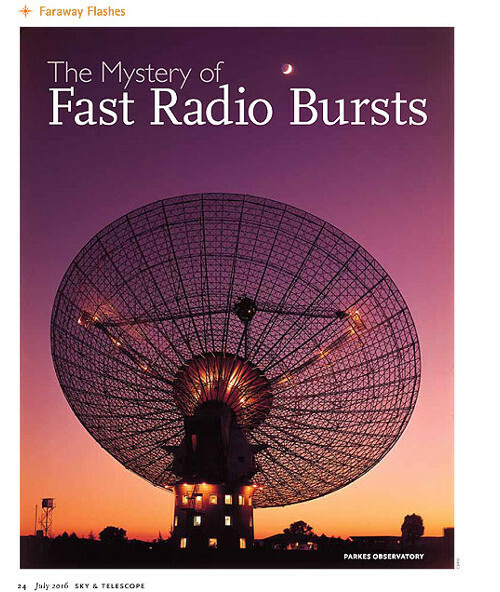 A decade ago astronomers discovered an ultrabright, ultrabrief flash of radio waves. Now, more than a dozen have been spotted, revealing tantalizing clues to their nature. Read more in Sky & Telescope's July issue. How did the world's largest telescopes conquer the tempestuous atmosphere? 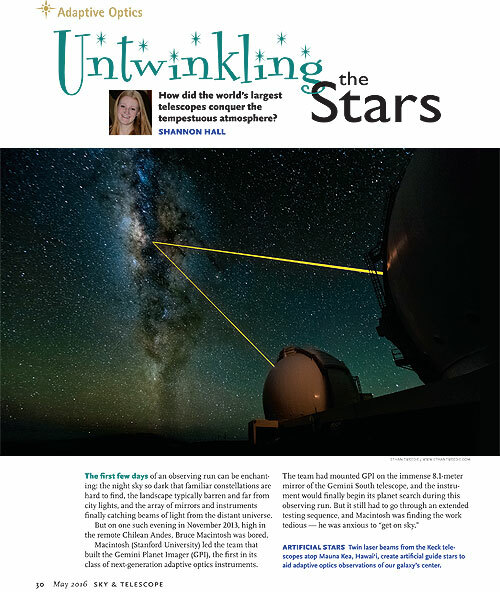 Find out in Sky & Telescope's May issue. Does a Fifth Force Permeate the Universe? Should NASA Strive Harder to Find Alien Life? Underwater Lost City Built by Microbes? Which Came First: Habitability or Life? About The LIGO Gravitational-Wave Rumor . . .